Kate Rawles, who lives in the Lake District with her partner, is sometimes referred to as an ‘outdoor philosopher’. She is a former university lecturer who is now a writer and adventurer. 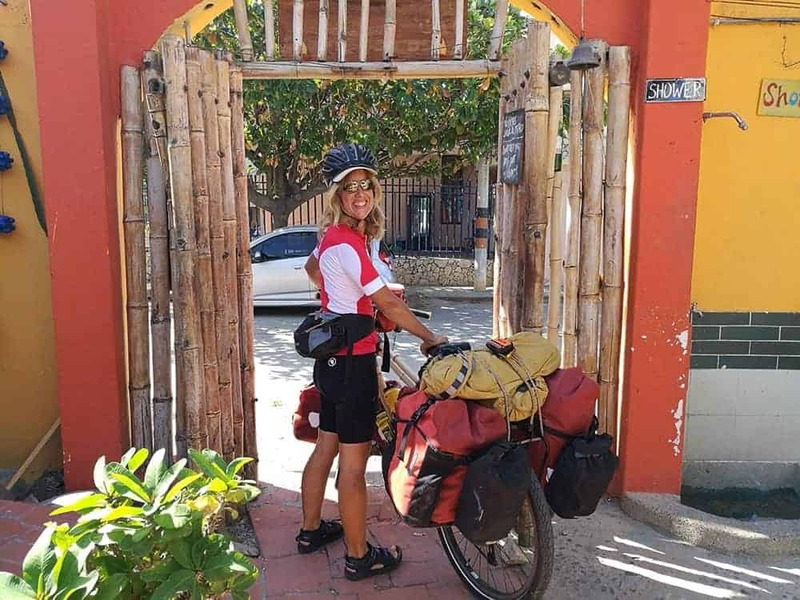 Kate is currently on a 5,000+ mile journey travelling from Cartagena to Cape Horn on a bamboo bike, which she built herself. Her aim: to harness the power of adventure in some of the world’s most extraordinary landscapes in order to raise awareness and inspire positive action on biodiversity. Kate will be exploring biodiversity what it is, what’s happening to it, why it matters and above all, what can and is being done to protect it. Best place I’ve visited: The Rockies, the Pyrenees, the Cairngorms, the Alps…. What inspired you to go on your first adventure, The Carbon Cycle? The Carbon Cycle wasn’t my first adventure but it was my first ‘adventure plus’ adventure. 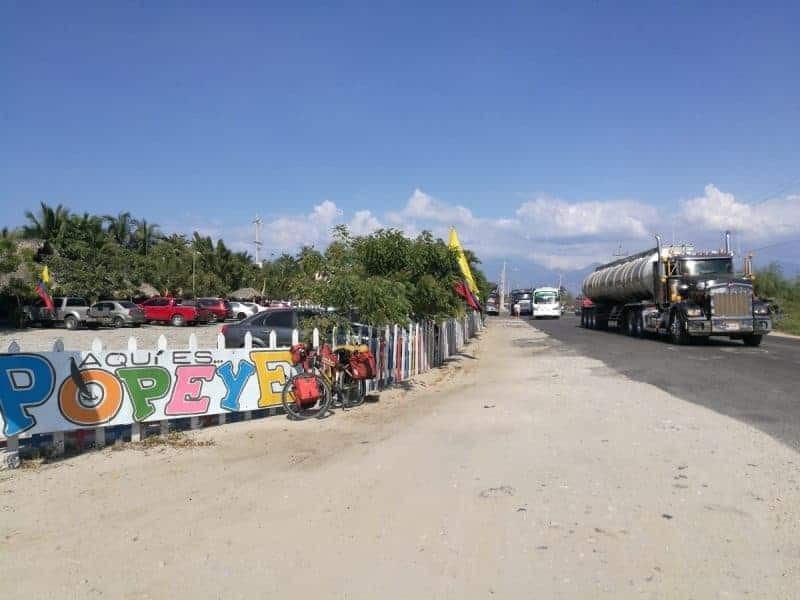 I was restless and wanted to do another long road trip in mountains; and I was also increasingly frustrated at the gap between what scientists are telling us about the urgency of climate change, and what is actually happening in terms of effective, positive responses. So I started to wonder whether I could bring those two things together, and use a (reasonably!) 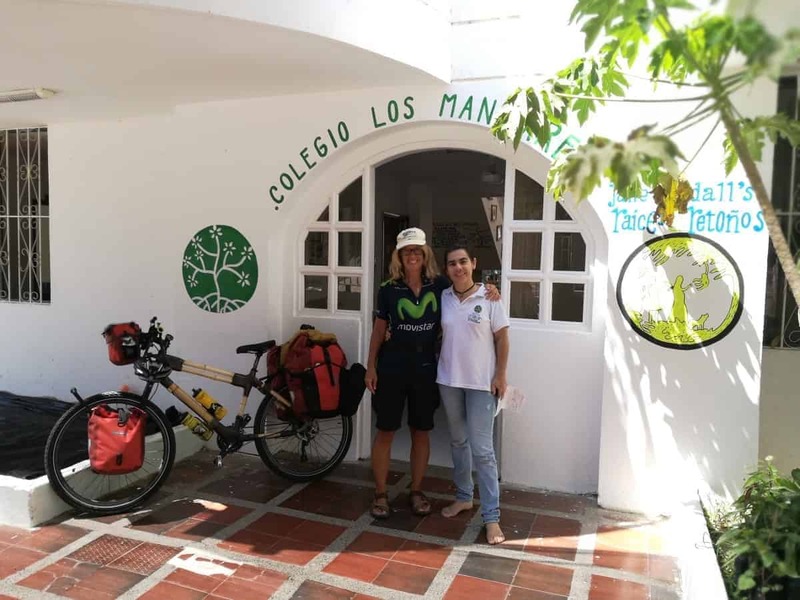 adventurous bike ride as a way of raising awareness and inspiring action on climate change. That’s when I came up with the idea of ‘adventure plus’ – using adventure as a communication medium and a call to action. 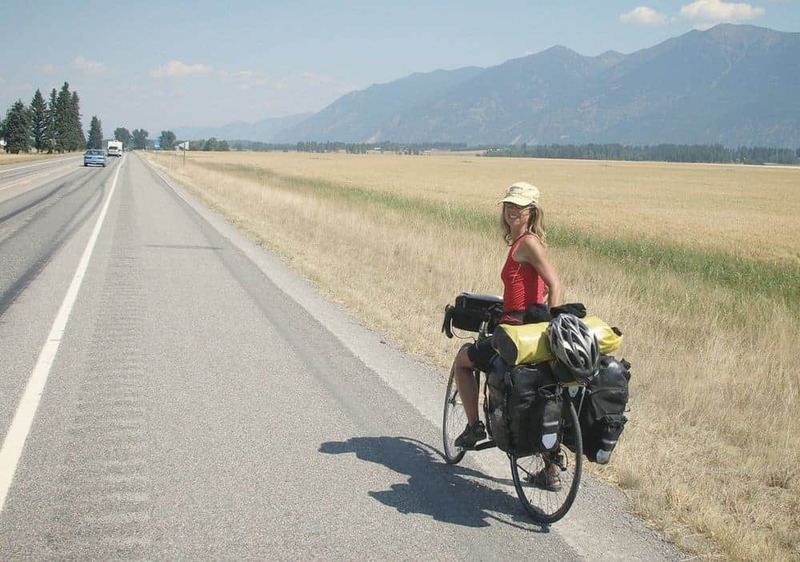 I rode from Texas to Alaska following the spine of the Rockies, exploring climate change (and the fabulous landscapes); and then came home and gave lots of slide show talks about it. And wrote The Carbon Cycle book. You must have enjoyed it as you are now off again on The Life Cycle. Tell us about that? I loved it! 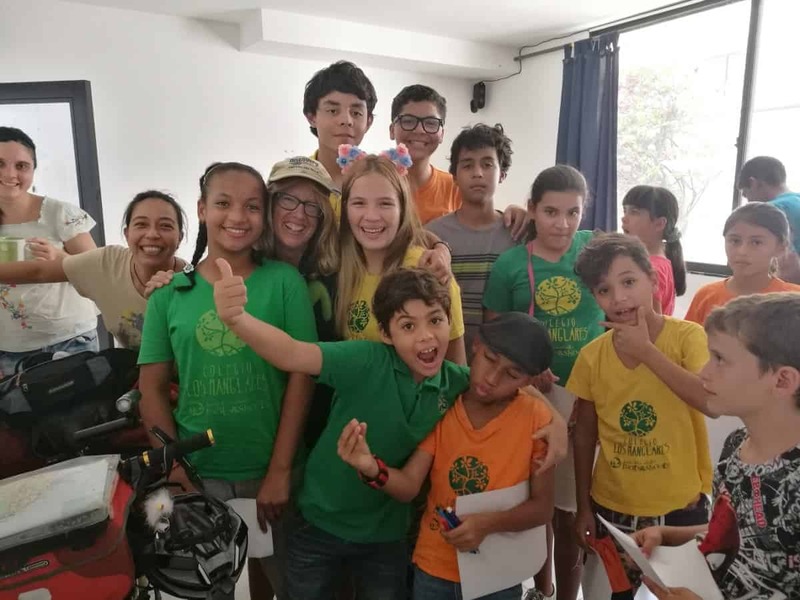 As with The Carbon Cycle, the plan with The Life Cycle is to use an adventurous journey to raise awareness and inspire action. 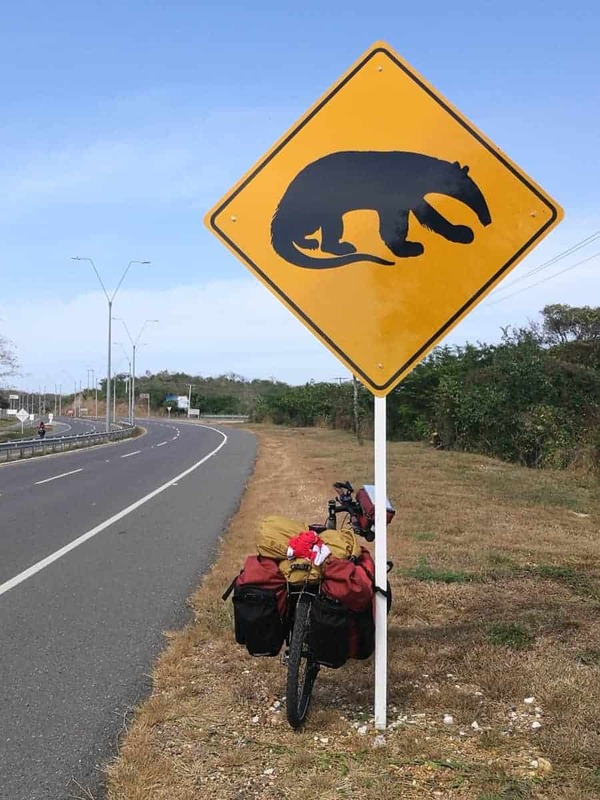 This time, my goal is to cycle from Colombia to Cape Horn, following the spine of the Andes; and the environmental focus is on biodiversity loss. We are losing the other species we share our planet so fast it’s been called ‘the sixth great extinction’ comparable to when an asteroid hit earth and took out the dinosaurs – but caused by us. According to the latest WWF Living Planet Report, global populations of wild animals (birds, mammals, fish, amphibians) have declined over 50% since 1970; and biologists at a recent conference argued that 50% could face total extinction by the end of the century. 50%!!! I think we hear a lot less about this in the media than we do about climate change, so there is less understanding about why it matters and what it means for us, and for other species too. Part of the problem is that Western industrialised cultures often consider ‘nature’ to be a bit of a luxury – lovely to have it, a good place for picnics, but not critical. In fact, the complex web of other species we are part of is absolutely fundamental to our lives. This web gives us pretty basic stuff; so-called ‘ecosystem services’ like clean water, fertile soil, food, fresh air ie things that we, and millions of other species, literally cannot live without. And other species are entitled to live here too of course – it’s not just that they are useful to us. So many reasons! A bike is a magician, transforming even the most mundane journey into a mini-adventure. On a bike, you are really IN the landscape you are travelling through: you feel it, hear it, smell it so much more vividly than in a car or a bus or a train. 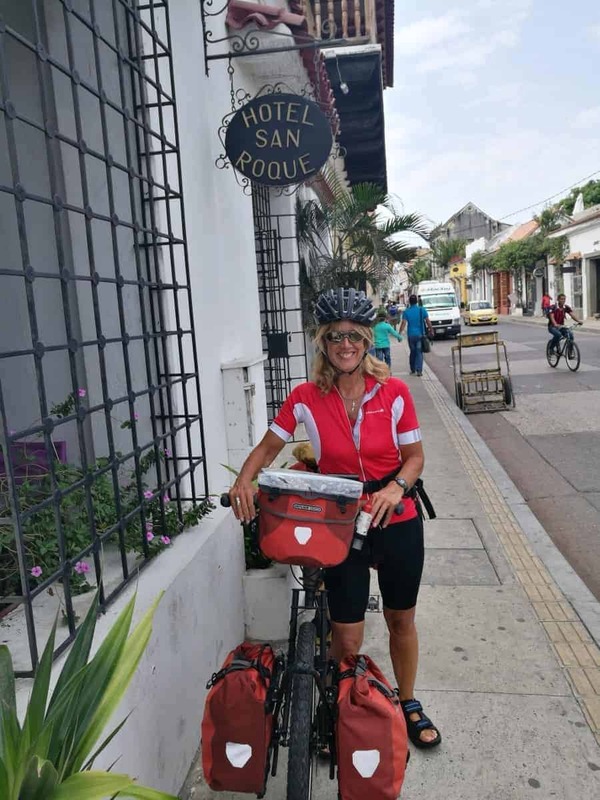 And if you turn up somewhere on a bicycle with big panniers, perhaps particularly as a woman travelling solo, everyone comes and talks to you. Where have you come from? Where are you going? Are you crazy? Can’t you afford a car?! And then they almost always shower you with kindness – offers of food or water or their phone number in case you need help for any reason. Cycling solo is a fabulous way to meet people and to get into conversations, and over the years it’s really confirmed my view that 98% of the world is friendly and helpful. I also love the process of getting fitter and stronger as the ride unfolds, I love using my own body to travel and of course I love the fact that a bike is a very low-carbon form of transport (though it does depend quite considerably on what you eat! In general, a veggie diet has a much lower footprint than one with a lot of meat in it.) On this occasion, I’m riding Woody, a bike made out of bamboo that was grown in Cornwall at the Eden Project and that I built (with help) at the Bamboo Bicycle Club in London. So this bike has an even smaller carbon footprint than a ‘normal’ bike – which is already really small. And I came across the Atlantic to start this journey on a cargo ship rather than an aeroplane, so that meant a smaller footprint too. Where do you sleep each night, how do you plan this? This really depends on where I am. At the moment, I am sleeping in a mix of hostels, cheap trucker motels and the homes of friends of friends….. When I get into more remote mountainous regions I’ll be camping more. And I’m planning to make better use of the wonderful Warm Showers network too. If I am reasonably sure that I’ll be arriving in a particular town that evening, I sometimes book a hostel ahead. It’s amazing to be able to get online on the side of the road via your mobile phone signal and do that – and then know that you definitely have somewhere safe and friendly for the night. Mostly, though, I just see where I get to and start looking for somewhere when I am ready to stop. Not wanting to tempt fate but (so far) my experience is that something always turns up…. Why are you so passionate about environmental issues? The environment is the bottom line of the bottom line. It’s our life support system, it’s our home, and it’s a source of extraordinary wonder and beauty. Everything else we might care about – social justice, human rights, equality, reducing poverty, peace etc – is undermined and made harder or impossible to achieve if we don’t have a healthy, functioning environment; and when we degrade our environment we lose so much else, too. And it’s not just about us. We share the planet with millions of other species who are just as entitled to be here as we are. It’s immensely important on so many levels that we learn the value of nature and learn how to co-exist with other species rather than destroy them. What have you found the most challenging aspect of your adventures so far? My highly inadequate grasp of the Spanish language! I can sort out food, beer and a bed for the night but it’s really frustrating not being able to go beyond that and have decent conversations with people. There are so many questions I want to ask (and understand the answers to!) – everything from people’s views about species extinction and nature conservation to the peace process in Colombia. I’m working on it but I have a way to go yet! Any memorable moments that really stand out? 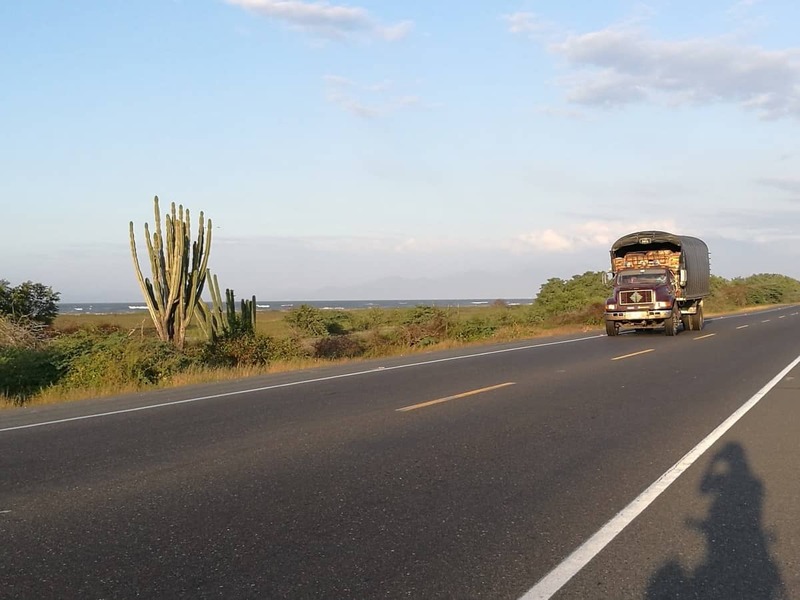 The many instances, large and small, of real kindness and human connection on the road. How do you fund your adventures? On this occasion, a small amount of savings (I left my job to do this trip), loans and a very generous partner. My (infallible) plan is to pay this all back when I write the post-trip best-seller. How did you go about building a bamboo bike? I went to a workshop run by The Bamboo Bicycle Club in London, and spent about five days learning how to build the bike – and building it! It was a real challenge, extremely interesting and (almost) always great fun. I would definitely recommend it. What tips would you give others who are concerned about the environment? Think about change on many levels. 1) Personal: do everything you can do to reduce your own impact – from eating less meat, to flying less, to consuming less in general. 2) Political: join a campaigning organisation, find ways you enjoy to take action, locally and globally, and in general, make your views count politically. Some changes eg to our dysfunctional agricultural system or to the transport system, need legislation to bring them about ie they need action from politicians. And politicians will only act on environmental issues if we make it super clear we want them to ie that there are votes in it. 3) Spread the word and challenge worldviews: find out about stuff, and talk about the big issues we face environmentally and socially. Make links and join the dots – social injustice and environmental degradation have shared root causes and we can only tackle them together. And challenge the dominant Western mindset that environmental issues come a poor second to economic ones; that we can and must grow the economy indefinitely even though we only have one planet with ecological limits; that money and stuff is the key to happiness; that humans are somehow separate from nature and that really only humans count. 4) Spend time around other species and constantly make time and space to renew your own connection with nature, whether that’s up a mountain or listening to the blackbird singing in the lamppost at the end of your street. 5) Above all, find ways of living well with less impact and celebrate that. The most important, and probably the most radical, thing any of us can do is to be visibly happy living low-impact, high quality ways of life. Do you have a plan for what you want to do after this adventure? Create a slide show talk about The Life Cycle and share it with as many different people and audiences as possible. And write the bestseller of course…..